This historic 1900 Saluda mountain cabin will delight. Enjoy the rustic charm of the large screened porch, original floors, fireplace mantles, and other woodworking, along with modern touches, including updated HVAC, custom-built kitchen cabinets, and spacious master suite. 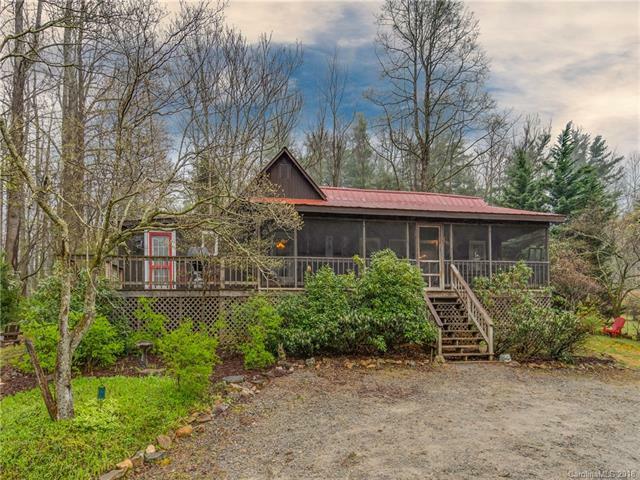 Wile away the days listening to the pitter patter of rain on the recently replaced metal roof, enjoy the peaceful solitude that total privacy provides, or entertain in the open kitchen and living room with vaulted ceiling. Brand new electric, plumbing, and septic. Strong income-producing vacation rental. Make it yours!